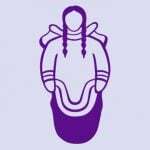 Pauktuutit Inuit Women of Canada 1 year, 7 months ago. These basic rules are intended to clarify the various responsibilities of all community members here on Pauktuutit.com. They have been compiled by the Pauktuutit Team and should be adhered to by everyone. Please address any questions on these rules or how to use Pauktuutit.com to the Community Team. Post with respect toward others. This site is aimed at a general audience, please be considerate of this. Please do not link to warez, cracks, or any other material that does not respect copyright. Please do not attempt to create the impression that you are a Pauktuutit team member or imply that you are providing official Pauktuutit support. Please don’t post on this site recruiting for personal projects or offer services. We consider this to be spam. If you would like to recruit people, we recommend you look at the signatures from team and community members. Many contain a line saying you can contact them for private (paid) work. Report any posts you feel contradict our policies by using the “post report” feature and the Community Team will handle them as needed. Please do not reply to these posts yourself. We provide support here for official packages released by the Pauktuutit Team. Limited support will be provided for packages downloaded from other sources. Please see the relevant announcement topic in each forum for additional notes. We don’t have control over any forum beyond those hosted at Pauktuutit.com or area51.Pauktuutit.com. We write, maintain and support the Pauktuutit software but have no control over anybody’s use of our software. For any questions about non-Pauktuutit.com domains, please contact the relevant site’s administrators. Community support is offered on the board and IRC. Please do not contact Team Members or other community members for support unless asked to do so. Please note that “bumping” your topic by replying directly after your own post is only allowed after six hours have elapsed since your last post. Please edit to add additional information instead. As Pauktuutit is Open Source Software, all staff and community members are volunteering their time to support you. Please consider this before posting. Linking to your own site or another in a support context is acceptable, including linking to support sites for Extension and Styles authors. It is also fine to link to your own site in your signature or website profile. General linking within posts to other sites is not necessary. Promotion of non-Pauktuutit sites, including alternate fora systems, hosting providers, and other material unrelated to a Pauktuutit support context is not permitted. Promoting your own site without a support related context is not permitted. Users wishing to advertise on Pauktuutit.com should see our advertisement information. Avatars should be no larger than 120×120 pixels and cannot contain animation. Signatures may contain up to five lines of normal sized text OR a single image that is no more than 60px high, 468px wide in size and two lines of small sized text. The font size of signatures should be normal or small only. Links in signatures are limited to a maximum of 5* links. *Pauktuutit Team members and users affiliated with the development and maintenance of Pauktuutit are allowed further additional links to aid support of the product. All rules apply to forum posts as well as private messages and cover http://www.pauktuutit.ca, and all Pauktuutit network sites. The Pauktuutit Team is responsible for the interpretation and enforcement of these rules. Warnings and bans or placement on the moderation queue will be utilised as necessary to run the site smoothly. Attempts to evade bans or moderation queue will result in further discipline. If you feel you have been treated unfairly by a team member, please contact the relevant team leader.